A short story can have as big an effect on the reader as a longer one. Sometimes the emotion is greater because it’s so concentrated. Or perhaps the reader’s imagination has more room to breathe because the writer has room only for the essentials? Flash fiction is even more of a challenge and I’m still very much learning here and watching how the big girls and boys do it. It’ll be fascinating to see how technology will bring smaller and smaller bites of storytelling to the reader. Whether you’re writing five thousand words or fifty, I hope the resources listed on this page will help. And, here are a few tips I’ve picked up along the way. Research the potential market for your stories, rigorously. If it’s for a magazine, find out if they have submission guidelines and read at least two back issues of the publication to gauge the tastes of the readership and the editorial staff. Look at the adverts too, they’re another great way of working out who the magazine is aimed at. If you are writing a story for a competition, I think it’s essential to read what kind of stories have won in the past. Judges will change, but there is sometimes a ‘type’ of story that gets chosen and, more importantly, you’ll see the standard of writing that you should be aiming for. This isn’t about writing your short stories to order – inspiration and ideas should lead you. But shouldn’t that story you’ve worked on and sweated over reach the people who will love it best? What to do when your story is rejected? I find sulking helps. Then look at your story again with the eyes of a cold-hearted killer. Was it good enough? Could it be improved? If you still honestly think it’s in the best shape possible, send it off somewhere else. If it’s good, it will find a home. But you have to be objective about its merits and you have to persevere. Oh, and abide by competition rules to the letter. Last piece of advice – read as many short stories as you can by as many different writers as possible. I call it learning by stealth and have the bookshop bill to prove it. A fantastic book. It's a collection of 24 essays by award-winning and widely published authors of short stories. All aspects of this particular craft are covered and it's packed with good advice and practical insights. It is quite staggering, the amount of work Christopher Fielden has put into this website. You’ll find tips and advice, writing services, challenges, his own very popular ‘To Hull and Back’ humour competition (with very generous prizes) and an absolutely mind-boggling list of competitions – flash fiction, short stories, books, novels and essays. There is also information on short story markets. Please go and have a roam over the entire site. I love Tania Hershman’s work and this website gives you the opportunity to read and listen to it. There is also a short story critique and mentoring service. Treat yourself and go and take a look. Another generously provided resource – this time for the women’s magazine market. This will tell you what each magazine is looking for and as these guidelines do change now and again, it’s a great way to keep up to date with industry news. 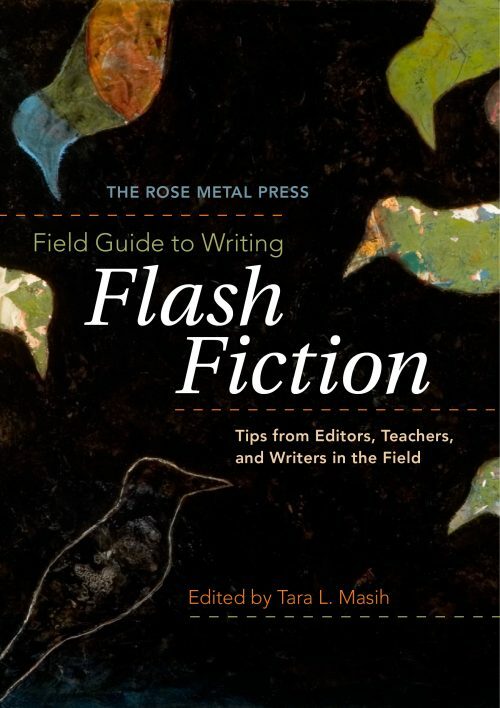 This is a great title because it really gets across that sense of this being a practical, yet creative, guide to everything Flash. There are essays (short, of course) by 25 experts in the field - editors, teachers, writers - and you'll find everything from the history of the short short story to a full trip around its current state and practice.